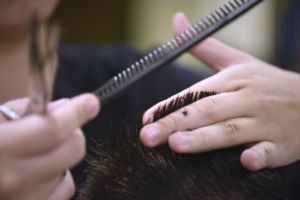 This club was created to motivate students and create clientele for the Barber program. This clubs purpose is to promote in each student a personal responsibility for their college and community; to accept their responsibilities as American citizens; to foster a spirits of cooperation among students, faculty, and staff; to maintain the good reputation of the college by upholding high standards of personal conduct; to develop wise leadership; to promote a spirit of high scholarship, character, and service; and to promote a better opportunity for constructively working out the problems of the school. Attend 50% of YFBC meetings and activities. Participate in and promote YFBC goals, activities, and service projects. Maintain a minimum of a 2.0 GPA and be a current student of PSC. Maintain a minimum of a 2.0 GPA to be eligible to travel. Members must be registered for a minimum of 3 credit hours. Members may be granted a one semester probation period to bring up GPA should it fall below the required minimum.